With more than 200,000 passengers flying from the airport’s four terminals each day, picking the right Heathrow parking is essential for a stress-free departure day. And, with multiple terminals fed by myriad parking services, selecting the wrong one could leave travellers in a race against time to reach the check-in desks. From ensuring you’re in the right car park for your departure terminal to selecting a service to suit budget and needs, our guide to Heathrow Airport parking will help all passengers successfully navigate a stress-free departure day. And, with APH offering more than 20 services covering on-airport, park and ride and meet and greet parking, you’re certain to find the ideal Heathrow parking for your trip. 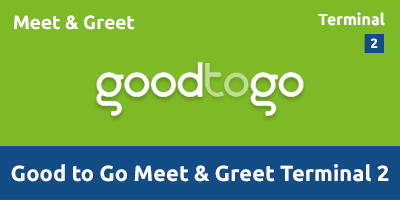 With the likes of GoodToGo to consider, you can rely on APH to supply safe, reputable Heathrow Airport parking you can trust. Just look out for the Park Mark Safer Parking Award logo for added reassurance. Browse our guide to Heathrow Airport parking to find the perfect service for your trip. Remember, it’s easy to get it right when you book with APH. From the terminal you’re flying from to choosing between on-airport, off-airport or meet and greet parking, booking your Heathrow parking can seem a daunting task for many travellers. Here at APH, we can help guide you through the process to ensure you’re booking the parking you need at a price that's right for you. Take a look at the full selection of the services we offer here. 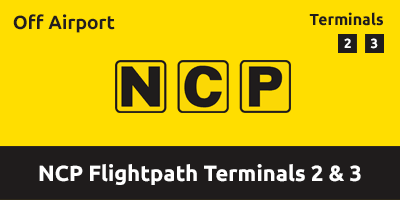 Heathrow Airport parking really is made easy with APH. Airport parking plays an essential role in thousands of trips from Heathrow each day, but the insatiable demand for space can lead to rogue operators attempting to exploit air travellers. Fortunately, drivers heading for Heathrow can rely on the Park Mark Safer Parking Award to ensure they’re choosing a reputable operator who'll deliver legitimate car parking. As a Police Crime Prevention Initiative, the Park Mark Safer Parking Award is designed to cut crime and the fear of crime in car parks across the UK. This includes facilities at airports such as Heathrow. The Safer Parking Award is bestowed on car parks that meet or go beyond the requirements of a risk assessment set by the police. Here at APH, the vast majority of car parks we work with are recipients of the Park Mark Safer Parking Award and the rest are working towards obtaining it. Looking out for Heathrow Airport parking facilities that hold the Safer Parking Award can help ensure you’re selecting a legitimate service that’s safe for both you and your car. With a huge selection of parking services on offer for travellers flying from Heathrow Airport, user reviews offer a vital tool to help select the best solution. And, with APH offering genuine, independently verified reviews, travellers can be sure they’re getting the facts from members of the public who’ve actually used the service in question. Check out the uncensored reviews and ratings to help ensure you can book Heathrow Airport parking with confidence. You’ll find easy-to-read reviews covering all of the parking products we offer at Heathrow Airport. Selecting the right Heathrow Airport parking for your trip can be tricky without the right information. And with many car parks offering terminal-specific services, travellers need to choose with care to avoid the risk of delays or even the possibility of a missed flight. Fortunately, APH offers clear information covering parking options offered for trips from Heathrow's T2, T3, T4 and T5. Our Heathrow Airport parking coverage provides a solution for travellers flying from all four terminals. 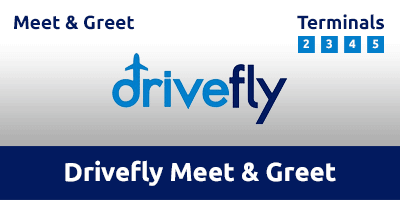 From the likes of MBW Meet & Greet covering all terminals, to options targeting individual departure points such as DriveFly T2 & 3 and T5, we’ve got all options taken care of. Take a look at our terminal-specific guide to Heathrow Airport right here. From meet and greet to on- and off-airport parking services, we can help compare what’s on offer, what you get for your money and how it might fit with your budget. Here are a few tips to ensure you pay less for your parking and save more for enjoying your well-deserved break. Unlike some companies, signing up to our email mailing list brings instant benefits for YOU! Just adding your email address will entitle you to an instant discount of at least 10 per cent. You’ll also benefit from knowing about special offers and sales – helping you shave even more cash from the cost of Heathrow Airport parking. Add your email at the bottom of this page to start claiming your discount right now. Saving money on Heathrow Airport parking isn’t simply about booking the right type of service – picking the best time to purchase can also bring big savings on the price you’ll pay. Typically, making a reservation in advance is likely to mean cheaper parking – with bigger savings available the earlier you book. In fact, booking your parking around six months before departure day can cut the price you pay by a staggering 62 per cent when compared with a reservation made a week before the flight. Translate that to hard cash and a week’s parking could cost just £49 at six months out – or £131 if purchased a week before departure. 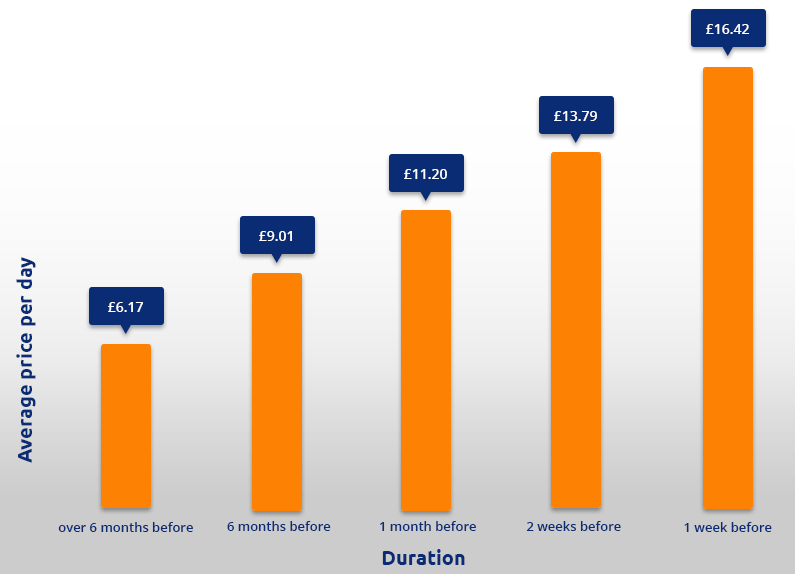 If your travel plans aren’t going to change, get your booking in early and make big savings – as illustrated by this graph. Another great way to help chip away at the amount you’ll pay for your Heathrow Airport parking is to keep a look out for non-flex deals. If your travel plans are set in stone, then booking this type of deal with the likes of Good To Go Terminal 2 & 3, Terminal 4 and Terminal 5 makes perfect sense. 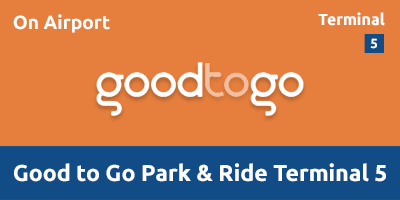 Typically, booking park and ride services will offer the cheapest prices. So, if you’re not worried about adding a few minutes to your journey – taking the transfer bus to the terminal – then booking this type of service will help keep the costs down. 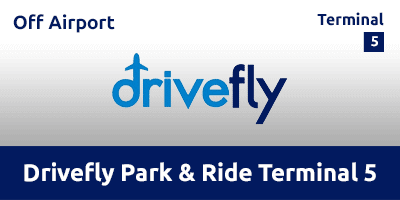 DriveFly and Good To Go offer great prices for parking at Heathrow Airport. And, with both facilities being holders of the Park Mark Safer Parking Award, you won’t be paying for savings with lacklustre security. All Heathrow Airport car parking options aren’t created equal, which is great for offering a diverse range of solutions to meet travellers’ equally wide ranging requirements, but the vast array of products can sometimes prove overwhelming. From the likes of meet and greet to park and ride, the perfect parking space is waiting for you – it’s just a case of ensuring you find it. Fortunately, APH can help guide you through the process of securing perfect Heathrow Airport parking for your trip with our easy-to-follow guide. Take a look at this easy-to-read overview of Heathrow Airport parking. You’ll soon get an idea of the type of airport parking you’ll need to get your trip off the ground. Booking on-airport parking at Heathrow will offer rapid access to the check-in desks, with bus transfers to the terminal typically taking five to 15 minutes. 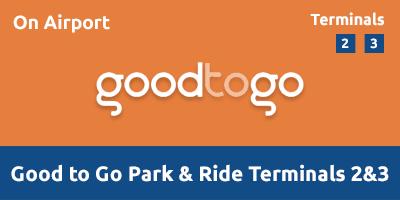 Passengers using this type of service – provided by the likes of GoodToGo at T2, T3, T4 and T5 – will drive straight to the car park, where they’ll find a parking space before unloading their bags and jumping on a transfer bus to the nearby check-in area. Additionally, because individual spaces aren’t assigned, drivers park their own vehicles and keep their car keys while they’re travelling. However, when booking Heathrow Airport parking, it’s especially important for travellers to select the correct car park for their departure terminal, because unexpected transfers to will cause delays and incur additional costs. Take a look at the following graphic to help visualise how a typical Heathrow on-airport parking service works when booked through APH. 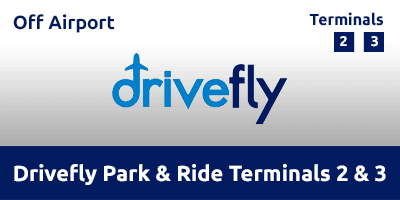 While on-airport parking will offer one of the fastest routes from car to terminal, its proximity will typically attract higher rates than off-airport park & ride services such as DriveFly. Best for: If you’re looking for a fast and easy getaway – and don’t mind paying a premium for the privilege – then on-airport parking will suit you. Anyone running to a tight schedule, or heading away on business will appreciate the short transfer time from car park to terminal doors. Travellers looking for reliable cheap Heathrow parking should consider off-airport parking services offered by APH.com’s trusted partners. And, with services across all of Heathrow’s four terminals, off-airport parking is simple to select with APH. All products are clearly labelled with the terminals they serve, ensuring you’ll find yourself parked in the correct space come departure day. Located away from the hustle and bustle of the airport complex, travellers simply drive straight to the car park, unload their bags and jump on one of the regular transfer buses to the terminal. Travellers won’t need to spend time traversing tightly packed car parks as they attempt to locate a space, either. Instead, a fully trained member of staff will park the car for them as they make their way to the terminal. As you’d expect from APH, we only work with reputable partners, ensuring vehicles are parked in security-protected car parks while owners are away. Look out for the police-approved Park Mark Safer Parking Award for additional peace of mind. 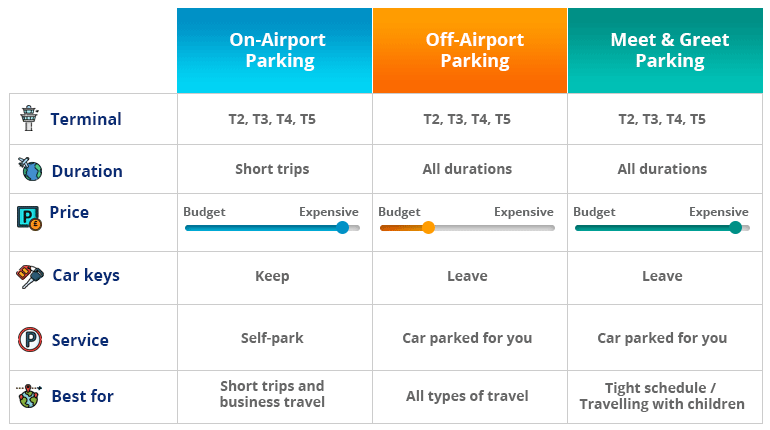 Here’s a simple step-by-step guide showing how off-airport parking works – and just how easy it is to use. Best for: If you’re looking to save cash and don’t mind allowing a little more time for your trip to the terminal, then off-airport Heathrow parking will reward you with reliable, safe products – at a great price. Suitable for all types of travellers, there’s no reason not to grab a great deal on your next trip from Heathrow. All four terminals are covered. How much is parking at Heathrow? 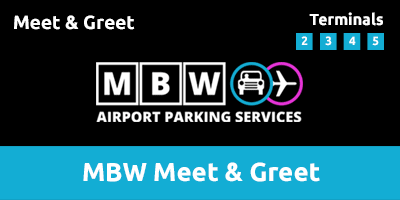 Getting to the check-in desks of a busy airport such as Heathrow is never easy, so why not make departure day a lot less stressful by booking meet and greet parking from one of our trusted operators like MBW or GoodToGo? 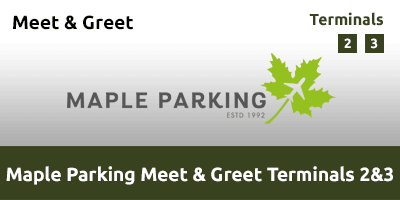 Providing one of the fastest routes from car to terminal, meet and greet offers easy-to-use Heathrow Airport parking designed to put travellers one step ahead of the crowds. 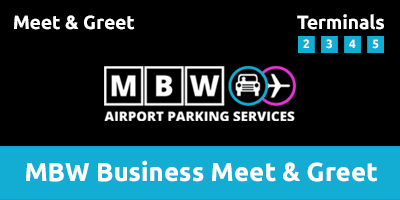 Avoiding excursions into busy West London suburbs as you search for off-airport car parks – travellers will be met at the terminal, or nearby collection point – by a fully insured staff member from the meet and greet provider. No need to queue for busy transfer buses, simply unload your bags and head straight to the check-in desks while your car’s parked for you in a nearby security-protected car park. 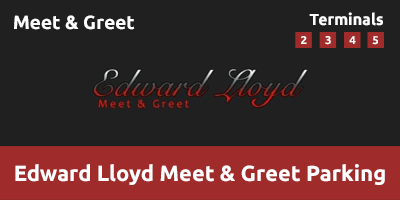 Despite providing a ‘premium’ service, there’s a meet and greet service to suit all budgets – with the likes of MBW Business Meet & Greet and Edward Lloyd Meet & Greet offering the service for just a few pounds more than some park and ride services. Best for: Travelling with young children, mobility issues, or carrying bulky sports equipment? Just some of the people who'll really benefit from meet and greet parking. Business travellers will also love the time saved to ease their busy schedule. Travellers won’t need to worry about who’ll be looking after their cars, either. With almost 40 years’ experience providing airport parking to the UK’s air passengers, APH only works with legitimate operators at Heathrow Airport. 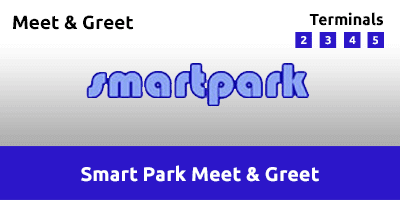 Don’t take our word for this though – take a browse through the independently verified reviews posted by genuine verified customers who’ve used the services we offer provided by the likes of Smart Park Meet & Greet and Drivefly. Getting to their Heathrow Airport parking and then onward to the terminal on time can often be a tough ask for travellers. With the UK’s busiest airport fed by congested arteries such as the M3, M40, M4, M25 and M1, there’s the ever-present risk of jams and unexpected road closures delaying progress. It doesn’t have to be this way, though, with savvy travellers often choosing to pair their parking with an overnight stay at one of the many Heathrow Airport hotels APH offers. No more early alarm calls or rush-hour slogs on gridlocked motorways, simply enjoy a great night’s sleep followed by a leisurely breakfast and short hop to the nearby terminal. And with the likes of the budget-friendly Thistle London Heathrow Terminal 5 to the consummate luxury of the Hilton Garden Inn on hand, there’s a package to please all travellers. It’s not just an expensive perk reserved for cash-happy travellers, either, with hotel and parking solutions to suit all budgets. In fact, pairing parking with accommodation can often cost little more than parking alone. Find out more about how pairing your parking with a hotel room can help build a stress-free start to your trip from Heathrow Airport. Find our full guide to what’s on offer here. Get ready for your trip from Heathrow Airport by preparing a route your car park or meeting point. Just use the tools on this page to ensure you’re at the check-in desk with plenty of time to spare.